SIEGE has been home to some of the most exciting esports events in Georgia, from the very first SMITE tournament to the first Georgia Esports League state championship for college students. 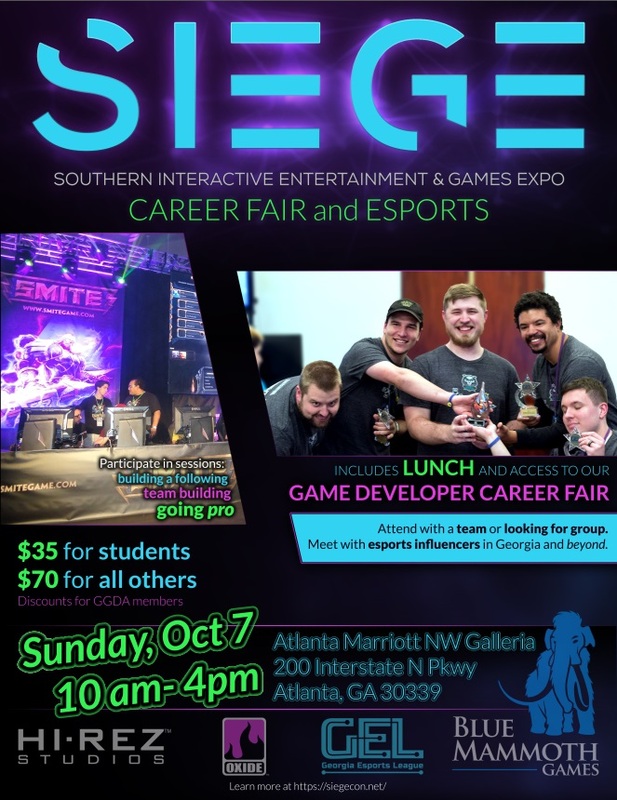 This year, SIEGE is hosting an esports day Sunday, Oct. 7, for the SIEGE Career Fair and Esports Day in the Cobb Ballroom. Join us for sessions on team formation, livestreaming, shoutcasting and more. Bring your resumes to show some of the best employers in the state. This is all leading up to our GEL State Championships Oct. 20 at Georgia State University. Zack James, CEO of Animeme Studios, is featured in over 250 media outlets including Times, People and USA Today. Animeme Studios is a Webby Nominated animation studio with over 10 Million fans, 2 Billion+ video views and 50+ successful brand campaigns. 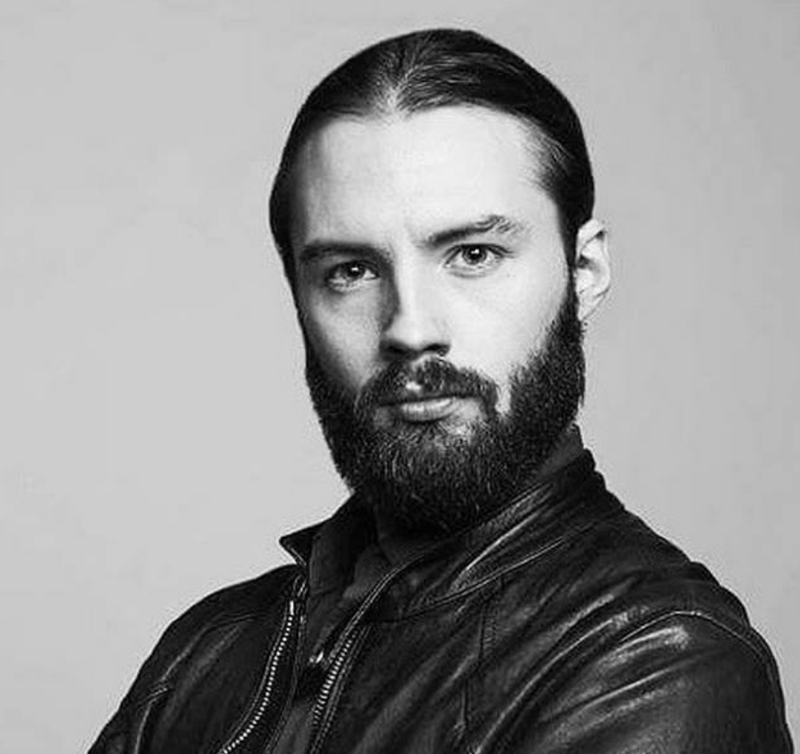 Brandon “Rude” Roukey entered the competitive esports scene in 2004 with Halo 2 and 3. Afterwards, he participated in various esports competitions until 2015. 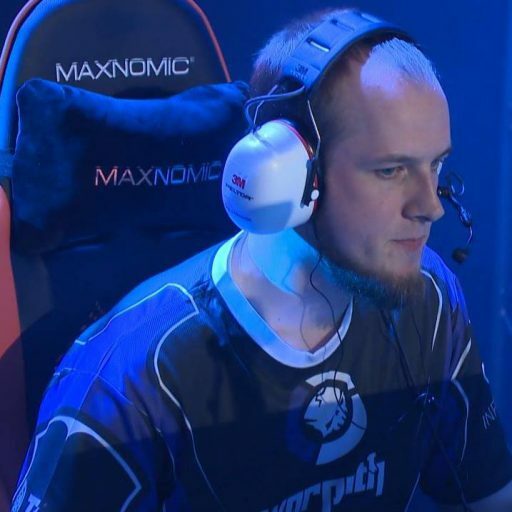 He joined the professional Paladins esports circuit in 2015 and played with several prominent teams including Warpath Gaming, MatchPoint, Team AGG, and Panda Global. In 2017, he left pro esports for a role with PaladinsWorld as a staff/meta analyst. He teamed up with Hi-Rez Studios in 2016 to help with production at HRX. Brandon currently manages League Operations for all of Paladins esports for Hi-Rez Studios. Prior to entering the Paladins competitive esports scene, Alternit competed in Firefall, Shootmania, and Gigantic. 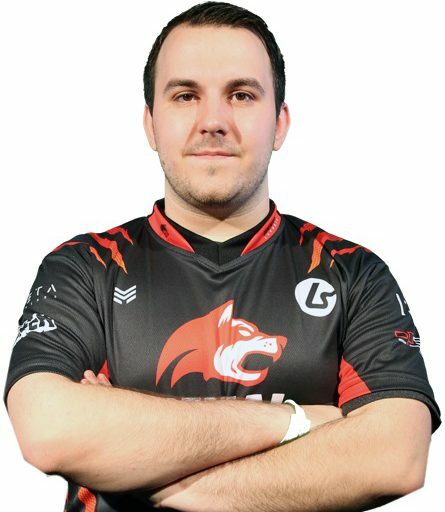 He played on the Paladins professional level from 2015 – 2016 with Warpath Gaming. He coached many successful Paladins teams including Denial Esports, SK Gaming, and Team Eager — in addition to working with Matchpoint as a team manager and marketing manager. Most recently, Alternit competed in the Realm Royale competitive esports scene. He just relocated to the Atlanta area, and is pursuing new opportunities in the local esports scene. Join industry representatives and team captains for a roundtable discussion of how to attract the right people, the roles that must be filled, training techniques and more. For successful esports teams, livestreaming represents both their best form of publicity and a revenue stream. Great shoutcasters are a critical part of that. Join us for a look at how to use OBS to stream games and build a following. Michael Brown (m), James Portnow, Powerspike.tv, and YoMama combine to give an in-depth look at how to build and monetize a strong on-line presence. Presented by people who have turned their channels into careers. A look at building a team that can compete at the highest levels, as well as the other careers for which esports prepares people.